I'm so in love with Mexican food from tacos, tortilla chips,burritos, Enchiladas, flautas, salsa and off course guacamole - nothing beats a freshly made guacamole. As a matter of fact most of the Mexican dining offers an on the spot making of guacamole which includes Rosa Mexicano. 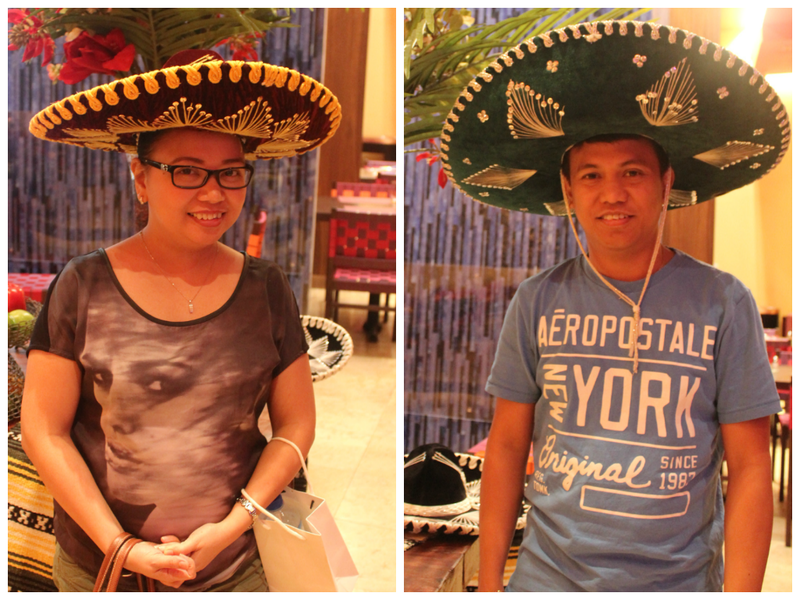 We wore strolling around the Mirdif City Center when we decided to have a light and early dinner in Rosa Mexicano. The place is huge and very lovely with perfect lightning effects. Just like the other mexican diners the house specialty is guacamole. But since it's just the two of us we skip this and have Tres sampler instead it consist of empanada, flautas and chicken wings with 3 different dips. And ohhh how I love the mango salsa!! For the main course hubby had Mix (beef, chicken,shrimp) Fajitas. Before they serve our orders on the house chips with salsa came. What i love in mexican food is aside from eating you need to assemble what you will eat. Even though we didn't ordered for a fresh guacamole I have a shot of the guy making it on the spot. I promise I will try this soon!! Rosa Mexicano's food is sooooo good with fresh ingredients and huge servings. Plus a beautiful place to dine. Before going out of the place and to feel the mexican theme. This is a MUST! !